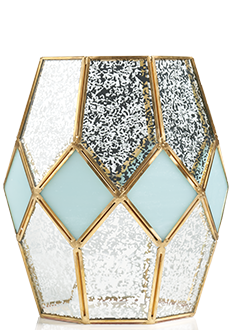 This distinctive glass terrarium features pale-blue diamond accent tiles creating a soft glow and a substantial presence in any space. 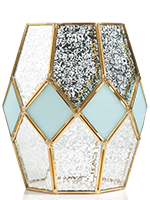 Fun fact: the diamond shape denotes success and good fortune. Item measures 5.25” diam x 8.75” h.